Thank you for travelling to Regina to help us celebrate our wedding. We appreciate you making the trip and can't wait to see you! We have reserved a block of rooms for our guests at the historic Hotel Saskatchewan in beautiful downtown Regina. They have just completed a full renovation in 2016 and their newly renovated rooms are beautiful! 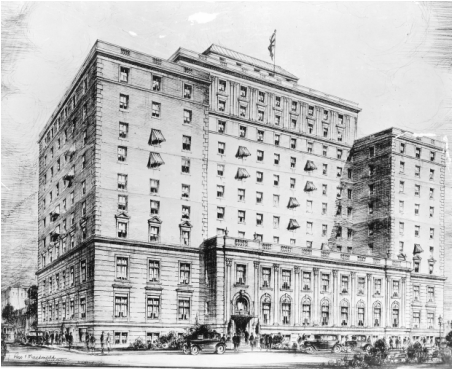 To learn more about the Hotel Saskatchewan, please visit their website: www.hotelsaskatchewan.ca. You can start making reservations as of June 2, 2016. Any unreserved rooms in the block will be released on May 2, 2017. The block room rate for a standard room is $185.00 a night, plus taxes for both Friday, June 2nd and Saturday June 3rd, 2017.
call the Hotel Saskatchewan at 1-306-522-7691 and say your are part of the Sanders & Mohr Wedding block of rooms.